VASS customer Michael has delivered Christmas presents, donated by VASS staff and residents, to those less fortunate. 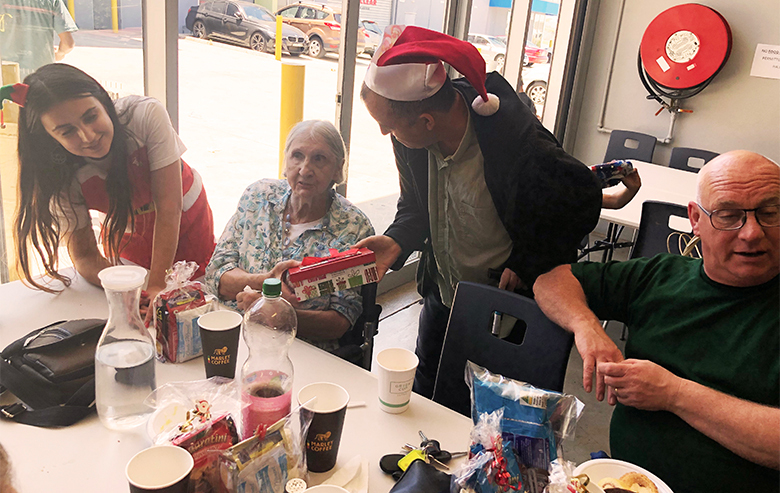 The team at Yooralla’s Ventilator Accommodation Support Service (VASS) in Thornbury sprang into action when they learnt that one of the residents wanted to do something to make this Christmas more special for those less fortunate in the community. Michael, who lives at VASS, said he wanted to spend his Christmas putting a smile on people’s faces. “I am a person that lives to give, not to receive. For me it’s all about seeing the smiles on the faces of the people less fortunate,” he said. Puneet Gulati, Lead Support at VASS, said after brainstorming how the team could support Michael to bring his vision to life, they came up with a plan. “We found out that a local church was hosting a Christmas lunch for people in need, including those who are homeless, refugees and those who otherwise would spend their Christmas alone, and one thing missing from this wonderful initiative was Christmas presents and Santa,” he said. Gifts were donated by VASS staff and fellow residents, some of which were handmade. “We then got together for a workshop to make sure each gift was beautifully wrapped. Once that was done, Michael got into his Santa costume and off we went! “Seeing all the smiling faces made this so special for us all. Giving is truly so much more rewarding than receiving,” said Puneet. Michael said that this Christmas was one he will remember forever. “I really enjoyed being part of the day and the community,” said Michael. 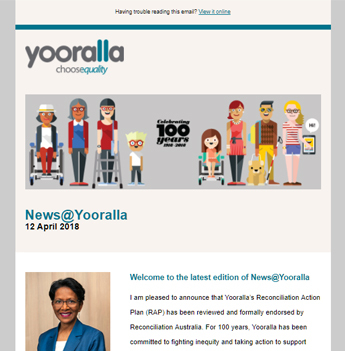 Yooralla’s VASS is a unique service that was purpose built for people who are dependent on mechanical ventilators and require high level 24-hour support. It is the only one of its kind in the Southern Hemisphere and offers both residential and respite accommodation. Chelsea Op Shop now open!